Aloha. Welcome to DiamondHeadPlants.com FOR ALL YOUR PLANT REQUESTS. 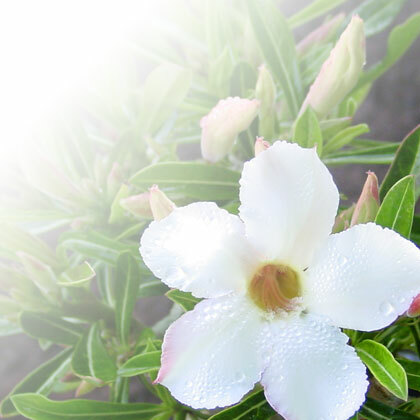 DIAMOND HEAD PLANTS, INC.Hawaii HAS BEEN ACTIVELY INVOLVED IN THE LANDSCAPE AND PLANT INDUSTRIES SINCE 1972. WE SPECIALIZE IN CUSTOM LANDSCAPE DESIGNS USING EXOTIC AND RARE PLANT MATERIALS PROCURED FROM AROUND THE WORLD. DHP ARE LEADERS IN THE INTRODUCTION OF NEW AND HARD TO GET PLANT MATERIALS. DHP FIRST STARTED AS A PREMIER INTERIORSCAPE COMPANY WITH A LARGE SELECTION OF FLOWERING AND GREEN PLANTS FOR COMMERCIAL AND RESIDENTIAL USE. OUR CLIENTELE CONSISTS OF BANK, HOTELS, RESTAURANTS, LAW FIRMS AND OTHER SELECT BUSINESSES. OUR THREE ACRE NURSERY SERVICE REQUESTS FROM THE MAINLAND, US TO SOUTH EAST ASIA AND EVEN THE MIDDLE EAST. WE ARE EXPERIENCED IN THE PACKING AND SHIPPING OF PLANT MATERIALS. PLEASE CONTACT US FOR YOUR PLANT RELATED NEEDS.